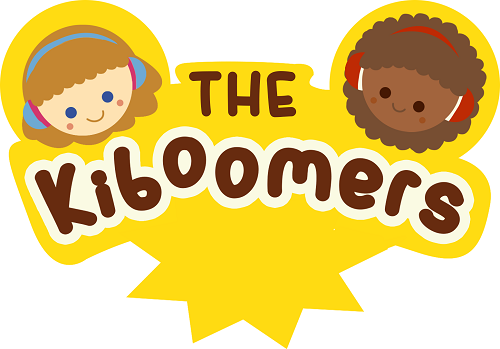 Hello and welcome - my name is Viv and with my class teacher Michelle I run the Jo Jingles franchise for Epsom2leatherhead. I have been teaching classes since September 2006 and am passionate about the benefits music can bring to even the youngest children. Starting from 3 months we see the progression through the age groups up to 5 years, welcoming lots of siblings along the way. There has been a lot of research into the benefits of music for young children. Our classes are well structured to provide a fun and interactive environment which brings 45 minutes of musical fun every week. I originally worked as a childrenswear designer during which time I had my three girls of my own! Upon the birth of my third daughter I found the work/home balance more and more difficult to juggle and so decided to stay at home and bring up my children (much harder than any other job I’ve ever done!). Once they were all in full time education I became a classroom assistant in Reception at the local primary school. This gave me a greater insight into the differences between boys and girls and also how they learn!! I then became a class teacher with Jo Jingles in 2006. It is a well-documented fact that young children can only focus on a task for about 15 minutes at a time. 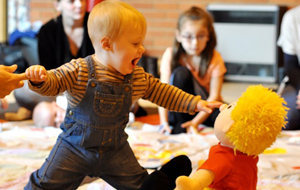 Jo Jingles classes are structured to hold their attention for a full 45 minutes through song and actions, instruments and movement. The classes are constantly changing to keep the children’s attention focused - ideal preparation for a classroom environment. I have always loved working with children and it is a real joy to see them develop all the way through from 3 months to when they leave us to go on to school. Seeing their confidence and understanding grow through music and movement is incredibly rewarding and apart from the fantastic fun we have in class your child will also benefit from meeting and making new friends, speech and language development, hand/eye co-ordination, mathematical awareness, physical skills, confidence, social skills and developing their imaginations and with your help they will see learning is FUN! My career started out as a secondary school teacher before having my son Owen. I am currently in a Rock Choir and have also sung in choirs and bands during my teaching career. 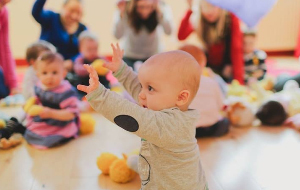 My son and I have thoroughly enjoyed our Jo Jingles classes and as a new mother it has been a lifeline knowing that there is a weekly event where someone takes the lead and guides you and your child through fun songs and activities that are helping him develop and have fun. I have always enjoyed singing and loved being in a classroom teaching students and helping them to achieve. 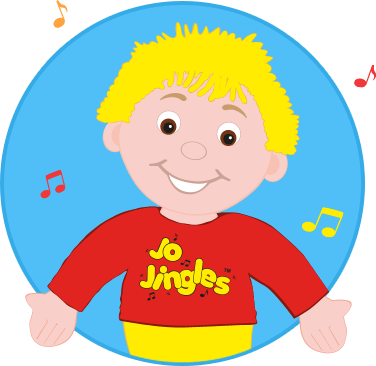 Becoming a Jo Jingles teacher is a perfect way to using my skills as a teacher and my enjoyment of music for the good of others. I have been taking my son to baby Jo Jingles for a few months and he loves the session. Tommy loves Jo and the instruments especially. I have been taking my son to baby Jo Jingles for a few months and he loves the session. Tommy loves Jo and the instruments especially. A mid week highlight for Tommy and I.
Anna started Jo jingles when she was 3 months and has loved it ever since. Over 2 months later, she gets excited when she hears the first song as she knows what's about to happen, and often falls into a nice early afternoon nap after the class has finished. Great balance of songs, interaction and relaxation. We've been going to Jo Jingles for 8 months now and it's easily Matthew's favourite activity in the week. We've been going to Jo Jingles for 8 months now and it's easily Matthew's favourite activity in the week. Lots of singing and songs with actions, playing different instruments and a relaxed chillout with bubbles. He gets really excited when Jo comes round to see how we are all doing. Looking forward to many more years of fun music with Jo and Viv. I have been taking my daughter to Jo Jingles ever since she was about 4 months old and she is now 2 and has loved every minute of it! I have been taking my daughter to Jo Jingles ever since she was about 4 months old and she is now 2 and has loved every minute of it! She loves music and it has not only developed her musical skills, though also her listening skills, hand eye coordination and confidence in a group of kids. See you soon Jo - beep beep! I've been taking my 8 month old son to Jo Jingles for the last 5 months and it's honestly the highlight of his week! I've been taking my 8 month old son to Jo Jingles for the last 5 months and it's honestly the highlight of his week! He loves the songs and musical instruments which are different each week. He has started to recognise the songs and grins from ear to ear when his favourites come on. He gets so excited when Jo comes round he almost takes off - flapping his arms and legs around! Viv is a very friendly and enthusiastic teacher. I can highly recommend this class to all parents who are looking for something different from the average baby group and something far more personal! 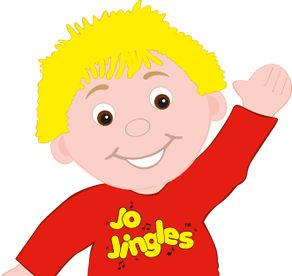 Jo Jingles was recommended to me by my sister, who took all 3 of her children. We love it and Viv is fantastic. 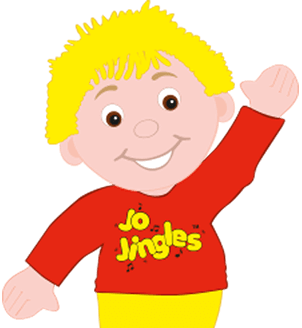 I have been taking my baby, Holly, to Jo Jingles in Epsom for over three months now and it is the highlight of our week :-) Holly loves Jo and is in awe of him and gets very excited. The songs are very catchy and memorable and I like the variety of instruments used too. The sessions are broken up nicely into sections - some music, some singing and some more relaxed activities - which is great for keeping the babies both entertained and chilled out. Viv seems naturally musical and is very happy and friendly with the babies. I would highly recommend this to any mum as a regular and very enjoyable baby group. My daughter Amelia loves Jo Jingles! She has been attending from being a baby and I have seen a her ability to join in with group sessions..
My daughter Amelia loves Jo Jingles! She has been attending from being a baby and I have seen a her ability to join in with group sessions, concentrate, watch and copy others, dance, play musical instruments and socialise with other toddlers grow month by month. She enjoys the variety of action songs, instruments, magical bubbles, peek a boo and other movement games which all capture and keep her attention. The songs have increased her knowledge too with songs naming body parts and counting. The Jo Jingles sessions are fun and engaging, everyone is welcomed and there is a friendly atmosphere. Amelia is very fond of both Viv and the Jo Jingles puppet! Amazing! My 1 year old loves Viv and Jo Jingles, my only regret is I didn't start her sooner. My only regret is I didn't start her sooner. Viv is fantastic! I started taking my first daughter Rebecca when she was 6 months - she loved her Jo Jingles classes and was very sad when school meant she had to give up at 4yrs. My youngest, Jessica loves her class as much as her sister did. She gets so excited when I say "shall we go to music". We love our weekly classes - thanks Viv! I'm new to Jo Jingles Epsom and I'm so pleased we joined. My 6 month baby girl absolutely loves the class, she has started do so many new things in the class and each week she interacts more and more with the activities. I have been taking my son Grant to JJ's in Epsom for about 2yrs now and he really does love the whole experience. I have been taking my son Grant to JJ's in Epsom for about 2yrs now and he really does love the whole experience. The class is divided into various action songs for his age group, experimenting with various instruments every week and other various term time songs and learning activities. He has made great friends from his class and so has Mum ;-) we will continue with his appropriate age group class until his starts school. His teacher Viv is really welcoming, very friendly, enthusiastic, great with the kids & always trying new and tried techniques. A lovely way to spend a Tues morning with my son and getting him used to the rhythm, rhyme and enjoyment of music.